The Alaska Native Medical Center (ANMC) offers comprehensive medical services and acute, specialty, primary and behavioral health care to Alaska Native and American Indian people living in Alaska. ANMC is also home to one of America’s most unique health care environments – a place where the highest quality care and cutting-edge technology meets special cultural and traditional services and customer experiences. The award-winning medical center includes a 173-bed hospital, a full range of medical specialties, primary care services and labs. The ANMC hospital houses Alaska’s first Level II Trauma Center and is also a Level II Pediatric Trauma Center. The hospital also works in close partnership with rural health facilities statewide to support a broad range of health care and related services. 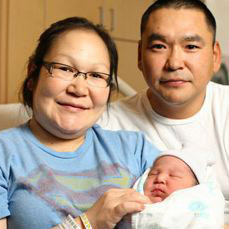 The Alaska Native Tribal Health Consortium and Southcentral Foundation jointly own and manage ANMC. These parent organizations have established a Joint Operating Board to ensure unified operation of health services provided by the Medical Center.